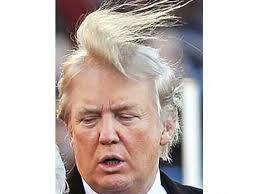 I think what Donald Trump needs is a good haircut. 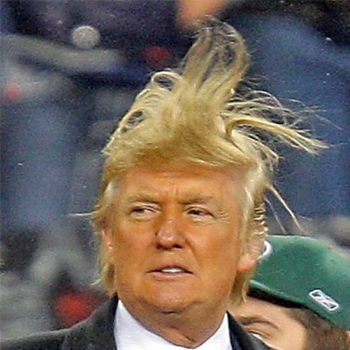 I know that his current ‘do’ is iconic and sort of his trademark, but seriously, a new style would really help him out. To me, he emulates Yorkshire’s own Arthur Scargill and he was an utter failure too who never understood that his hair was the real issue standing in his way to power. You see, hair is important. Donald obviously has understood this and perhaps believes that it represents his strength and manliness: a bit like that guy in the old testament. Perhaps he thinks that if he has it cut shorter, it will somehow stunt his manhood? 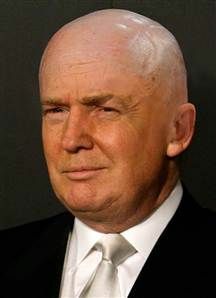 I reckon, Donald would look good in a mohican or perhaps a Kojak styling? He could even go so far as to color the mohican pink and it would be an improvement. I just wonder, if no one around him has the guts to tell him his hair is frankly dire, then I’m guessing he is surrounded by Yes men (and women – though he seems a bit of a Man’s man to me). Yes, I reckon if he would just have a nice, normal and decent haircut, he would stand a significantly improved chance of becoming President. I reckon, it would make him a much nicer person than he seems to be. That hair style you see says to me ‘F**k you – I’m right and you should love it’. And, that just seems to be his overall attitude to everything….